This was my last full day in Prague. I didn't want to leave. I am in love with Prague. Indeed, I am in love with the entire Czech Republic. We began the morning by trying to get tickets to a candlelight organ concert that Traveler Eight had gotten a flyer for. 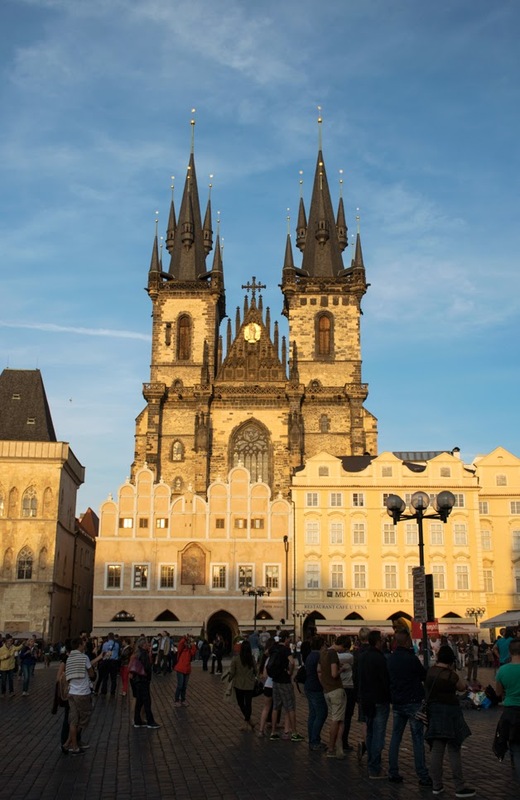 Now, there are many candlelight organ concerts in Prague. 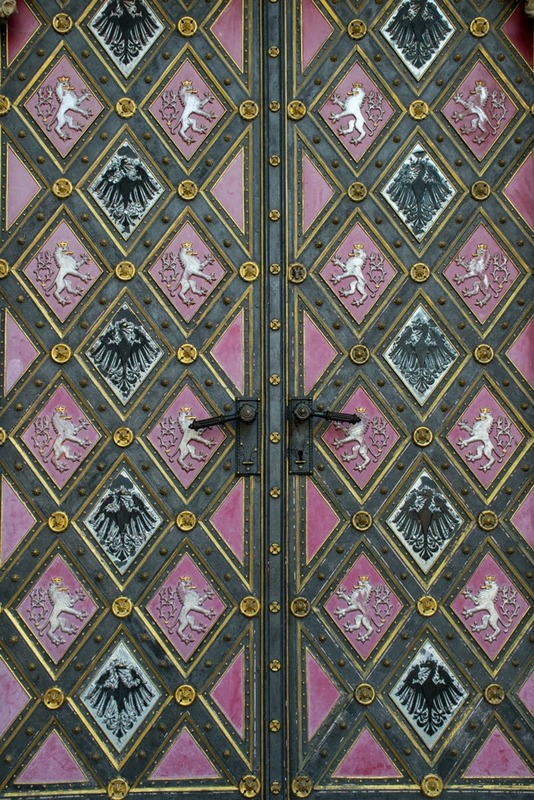 This is the one at St. Michael Monastery. We got hopelessly lost trying to find the place indicated on the flyer and then suddenly the man handing out flyers found us. We were taken upstairs in the building and down a drab hallway to get tickets. This was started to resemble some experiences I had in Budapest years ago and screamed tourist trap in the worst possible ways. 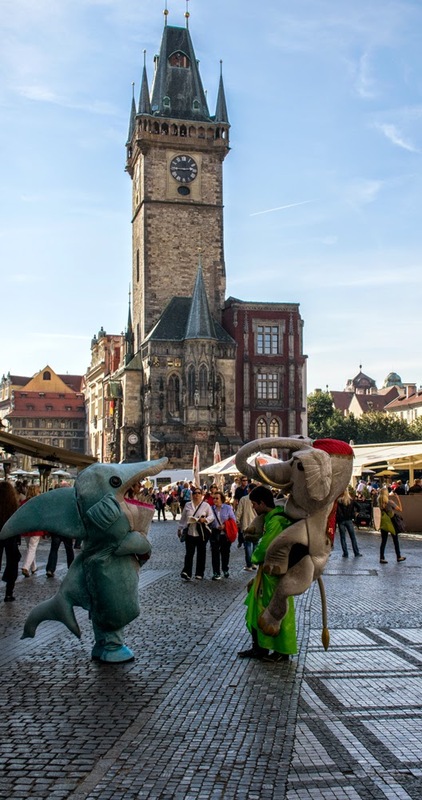 But I was hoping I'd be wrong, I was expecting the magic that is Prague to deliver something spectacular. It would turn out to be...a unique experience. Keep reading. Traveler Eight and I headed toward Vysehrad. This is the site of an old fortress established in the 10th century. 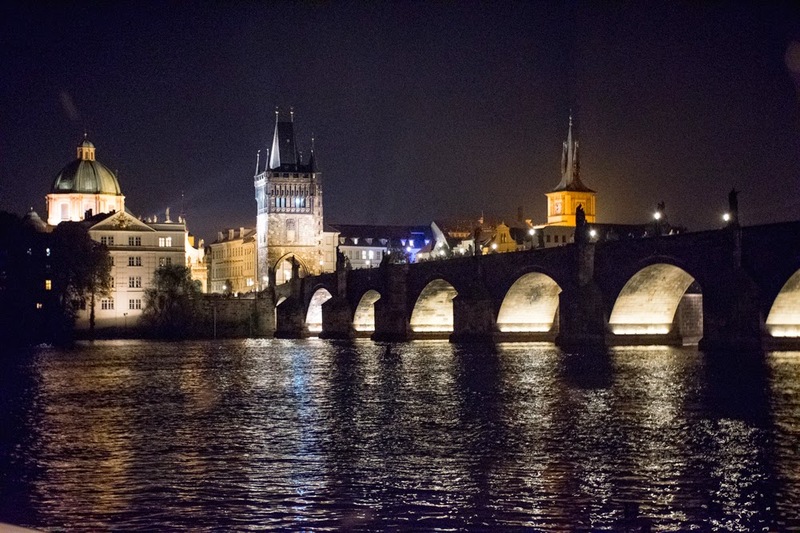 It sits on a high cliff above the Vltava, an easily defendable location. It was once believed that this was the original fortress complex that gave birth to the capital of Bohemia but research now suggests that the castle at Hradcany (what became Prague Castle) predates Vysehrad. Vysehrad figures prominently in the origin story of the rulers of Bohemia. A Czech princess named Libuse, daughter of chieftain Krok, needed a husband after her father died in order to legitimize her rule. She married a plowman named Premysl, thus establishing the Premyslid dynasty. Libuse prophesied the establishment of a great city upon these cliffs overlooking the Vltava and ordered the construction of a castle. Legend says this castle was Vysehrad. The fortress was mostly dismantled in the 19th century though some truly ancient structures can be found here. The Rotunda of St. Martin, a Romanesque round church from the 11th century still stands. 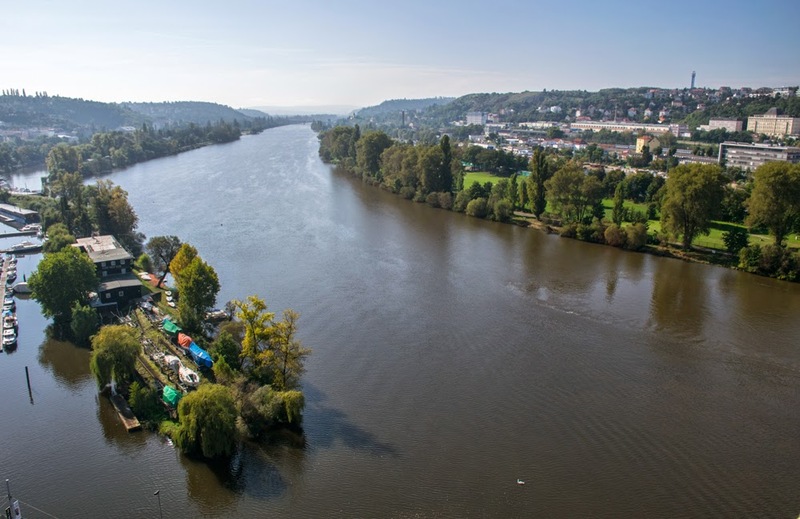 The former site of the fortress affords beautiful views down the Vltava. But its the cemetery outside the Basilica of St. Peter and St. Paul that drew Traveler Eight and I. 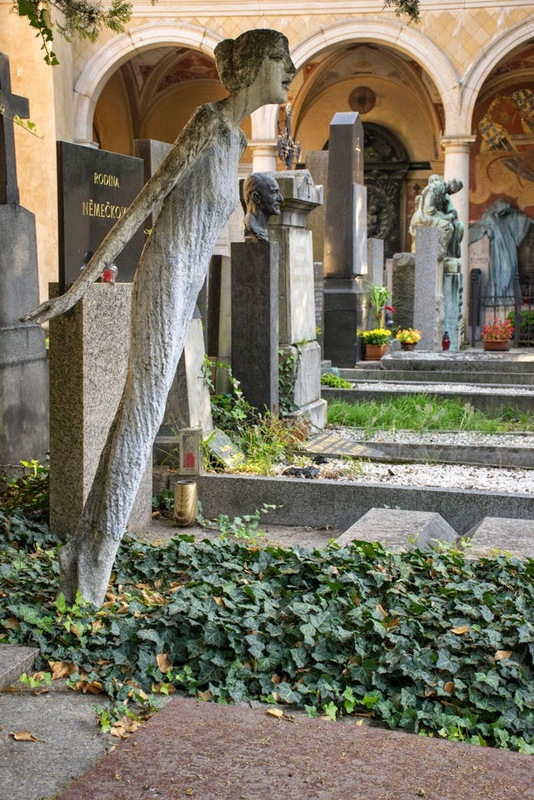 In this cemetery, Vysehradsky hrbitov, you can find the graves of Jan Neruda, Alfonse Mucha, Dvorak, and Smetana, among other famous Czech musicians, artists, and writers. It is an impressive cemetery full of unique and, sometimes, wildly intriguing grave markers. 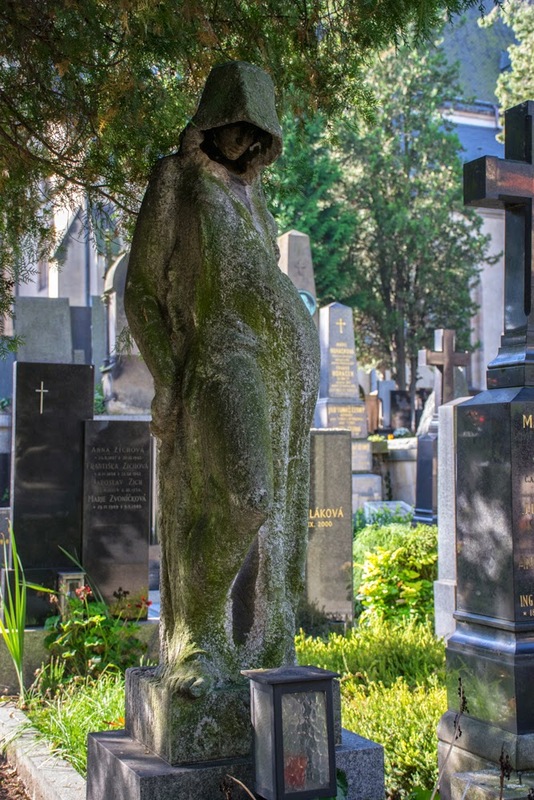 There are these amazing and slightly spooky sculptures of female figures appearing like apparitions throughout the cemetery. And yet another female apparition...oh wait...that's Traveler Eight! 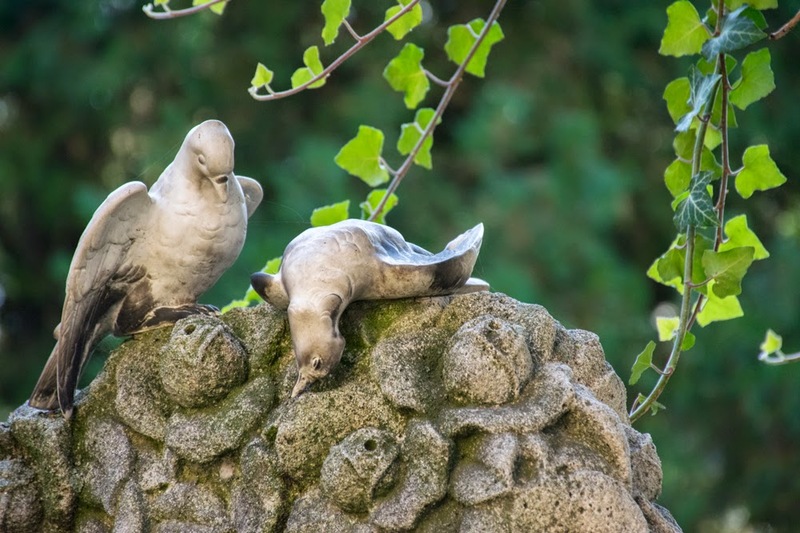 Example of the beautiful if somewhat morbid art adorning the gravestones. We then wandered in the Basilica of St. Peter and St. Paul. 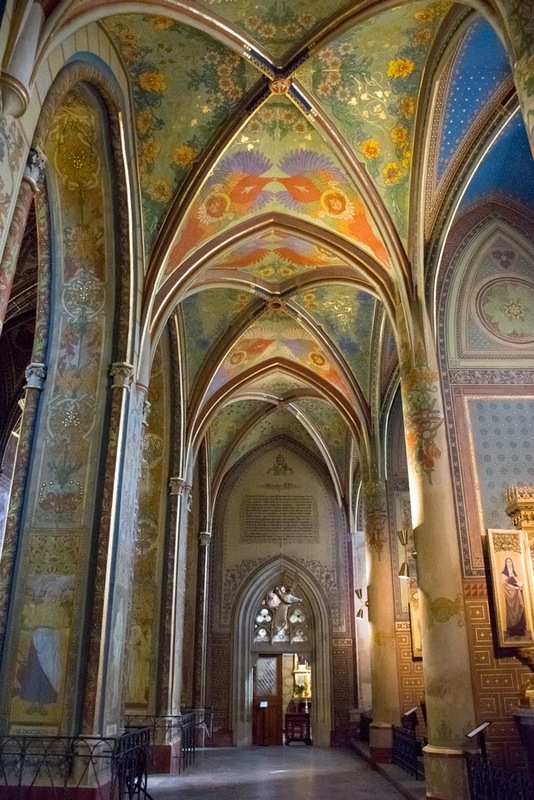 This is a neo-gothic church begun in 1885. 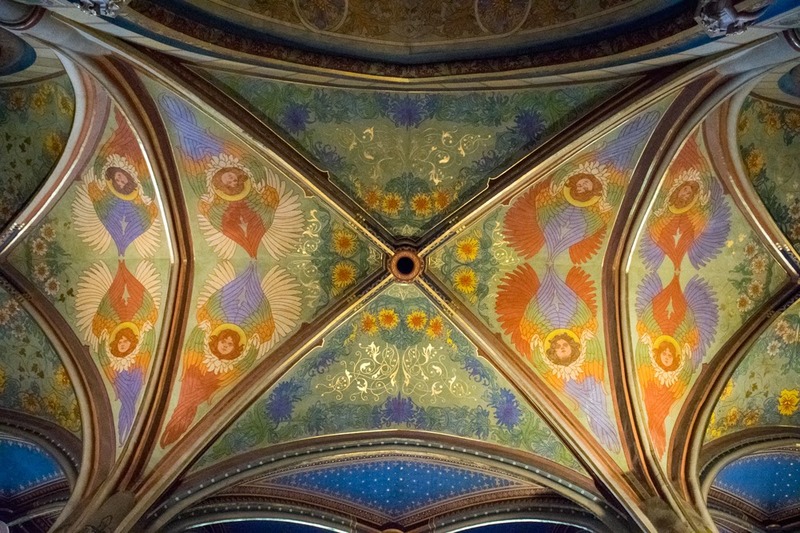 It replaced a Romanesque basilica (founded in 1070) and its rebuilt Gothic replacement as well. 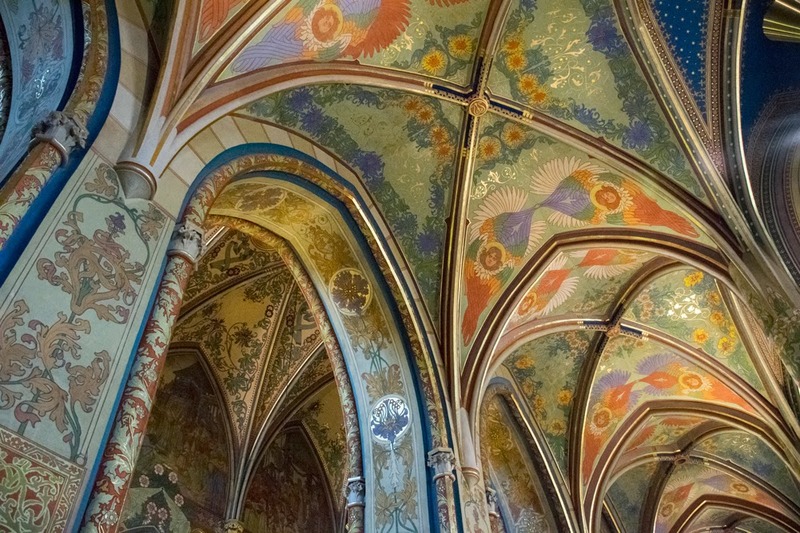 The inside is an art nouveau neo-gothic masterpiece, painted by Frantisek Urban and his wife Marie Urbanova-Zahradnicka. They took their inspiration from Alphonse Mucha. I loved this church. It is alive in a way that the cold marble and gilt of baroque interiors don't seem to be. Traveler Eight and I wandered along the banks of the Vltava. We paid a brief visit to Charles Square to see the Jesuit College, whose church we deemed to have no soul after such neo-gothic splendor we experienced earlier in the day. The Faust House. 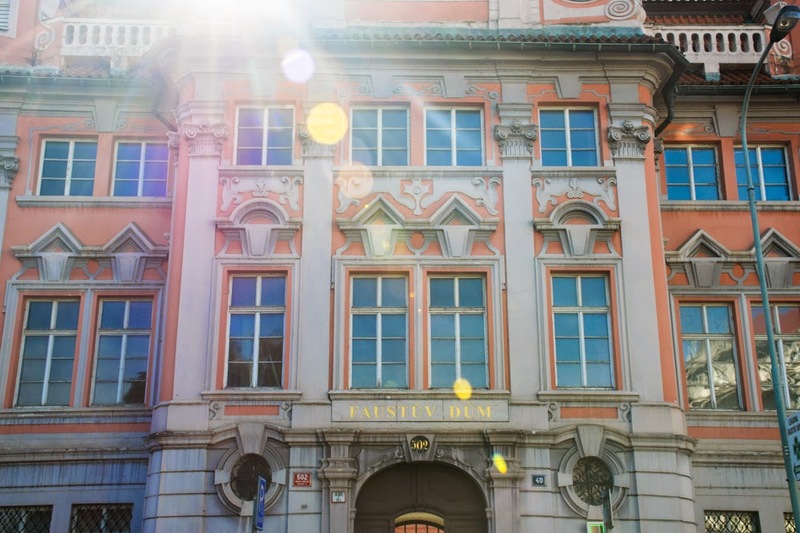 It is now part of the Medical Faculty for Charles University. We then headed toward Wenceslas Square so Traveler Eight could see where important demonstrations during the Velvet Revolution occurred. During the Middle Ages this area was a horse market. Now its fully of tourists, big stores, malls, and a Franciscan garden hidden away through one of the malls. We then went in search of lunch. We ended up at the French Restaurant in the Municipal House. We inhaled cigar smoke and ate salads. 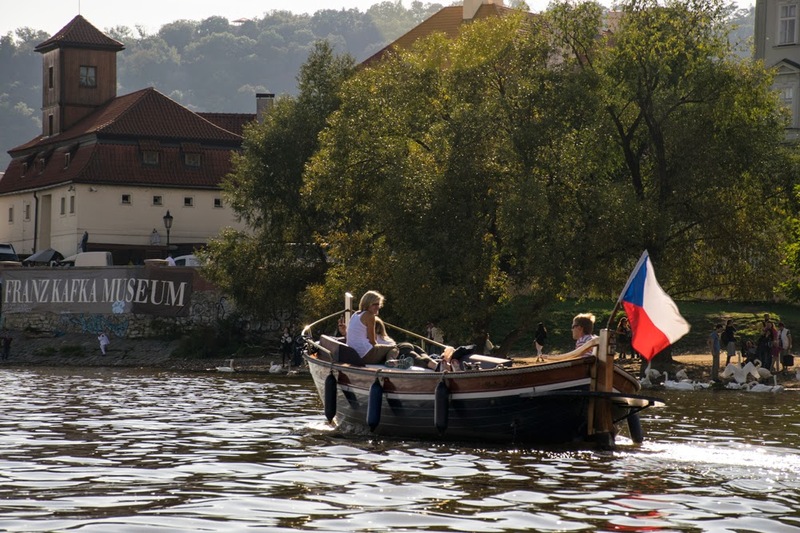 We then took a short boat cruise on the Vltava. Traveler Eight napped. I snapped pictures and enjoyed being out on the water. We then visited the Bridge museum, near the Church of St. Francis of Assissi, and learned about the bridge's construction as well as the order of the Knights of the Cross with the Red Star, the only male order established by a woman, St. Agnes of Bohemia. On the river. The wooden structure before you is to help protect the bridge when the ice breaks in the Spring. 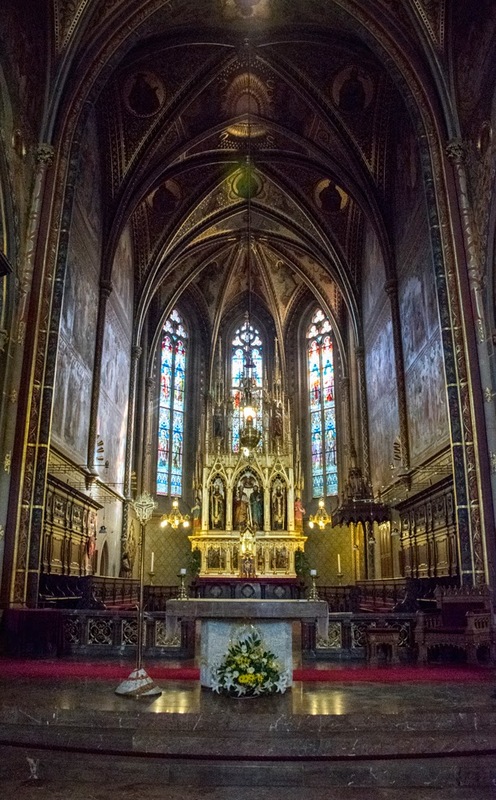 At 4 :30 pm we headed over to St. Michael's Monastery for the "candlelight" organ concert. We were greeted by a bizarre man, whose shirt was strangely half tucked in one side of the front of his pants and not tucked in on the other. You could kind of see his flaccid stomach. As more guests arrived he proceeded to charge those sitting in the "champagne" section for the champagne that allegedly came with their tickets, which they'd technically already paid for. Then the concert began. There was no candlelight. There were candles...but they were never lit. So instead of a concert by candlelight we got a concert with unlit candles. The three musicians and the singer slogged their way through selections from Mozart, Bach, and Vivaldi and Smetana. The singer looked like she wanted to be put out to pasture. Yesterday. The organist banged on the keys with little inspiration. With every bang of the keys you could feel his dissatisfaction with having to play that particular song yet one more time. Perhaps he should take up percussion. It might help him with his frustration. The harpist needed a new harp. The harp itself was so unhappy with this farce that it revolted by going out of tune at regular intervals. The violinist had one moment of inspiration, which was quickly sucked out of him his dismal excuse for accompanists. There are other concerts by candlelight at other venues in Prague that I'm told are much better. 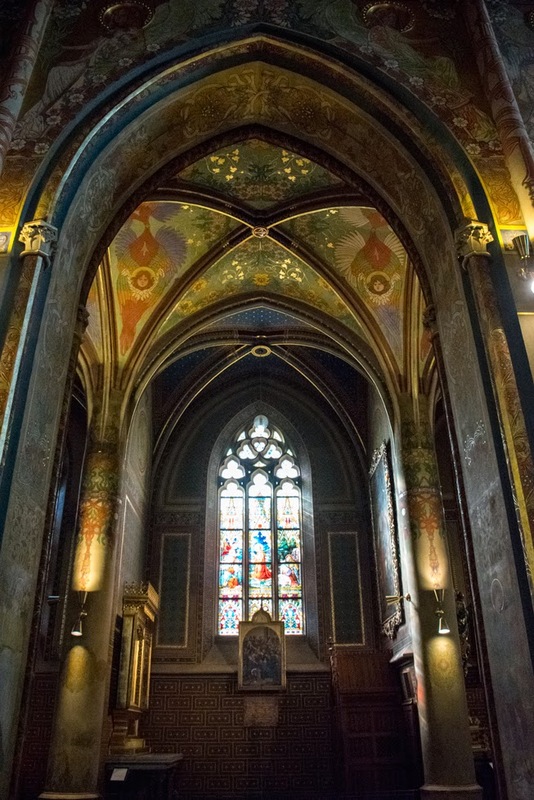 Stay away from any concert at the St. Michael Monastery on Melantrichova Street. You will leave laughing or, at least, rolling your eyes. We did. House at the Two Golden Bears. 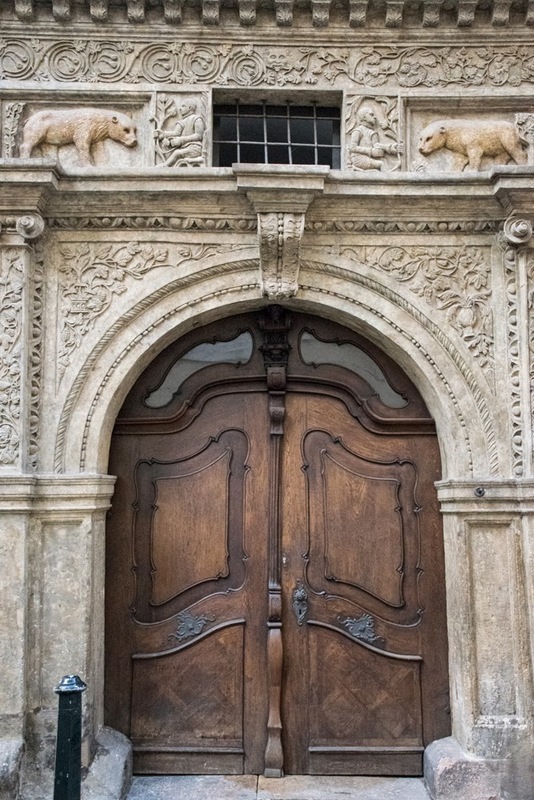 An original Renaissance portal doorway. Tyn Church in the late afternoon light. 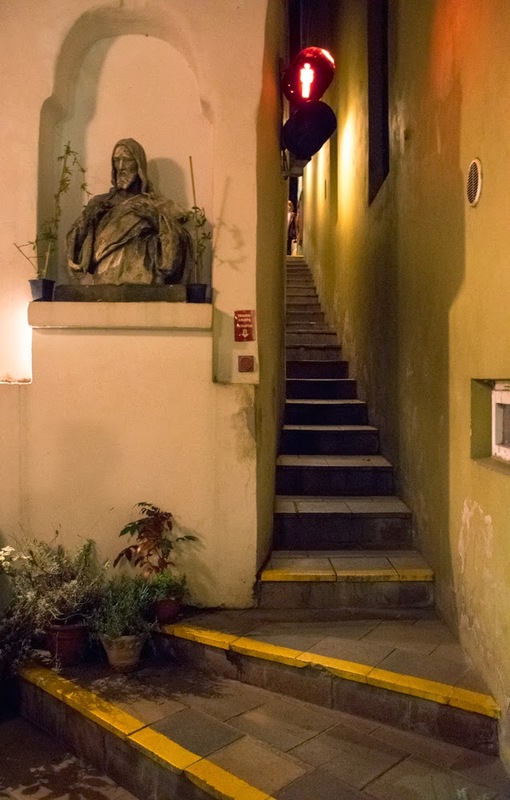 We wandered a bit and headed over to Mala Strana to Certovka Restaurant. 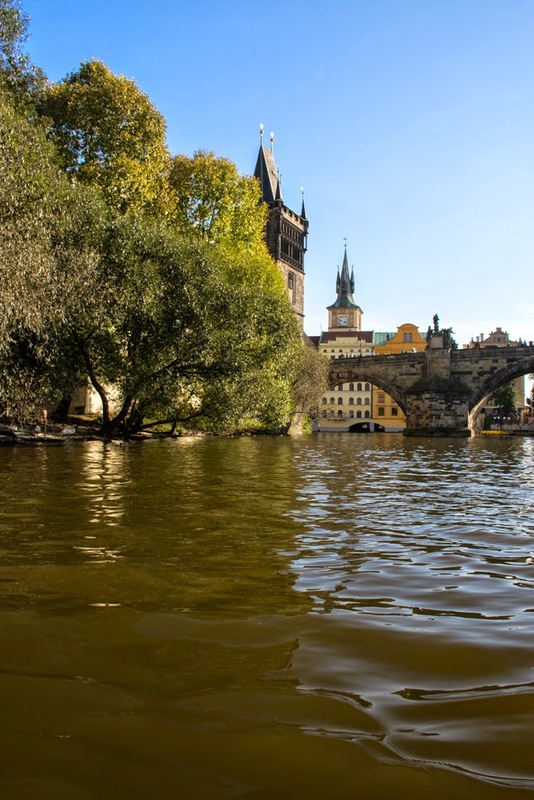 It is named after the Devil's Stream, on which it sits where it meets the Vltava. A fitting end to my journey here, where I stayed in Pension Hell, stayed at Hotel Executioner, drank at Bar Executioner. Thus I end my journey with a meal with the Devil. 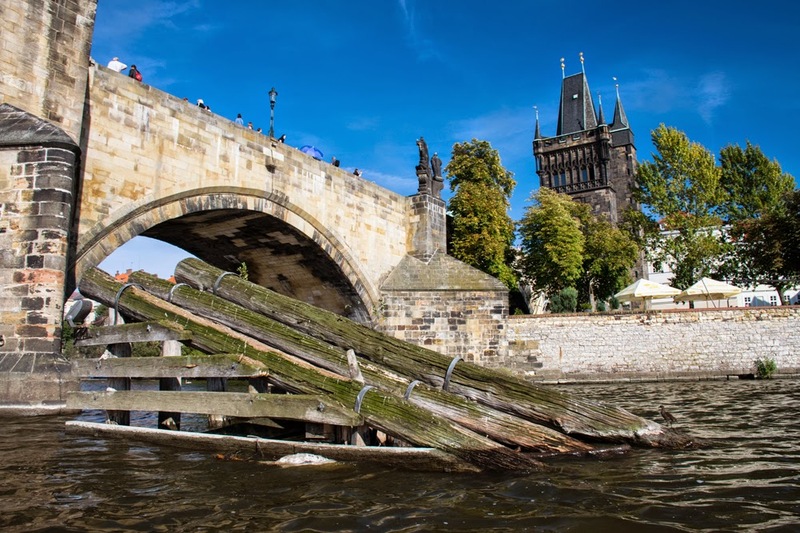 Certovka sits on the water looking at Charles Bridge. It's a pleasant spot. The waiter actually recommended what to order. This was the only time I had this happen during my trip. When the waiter says order something, do it. 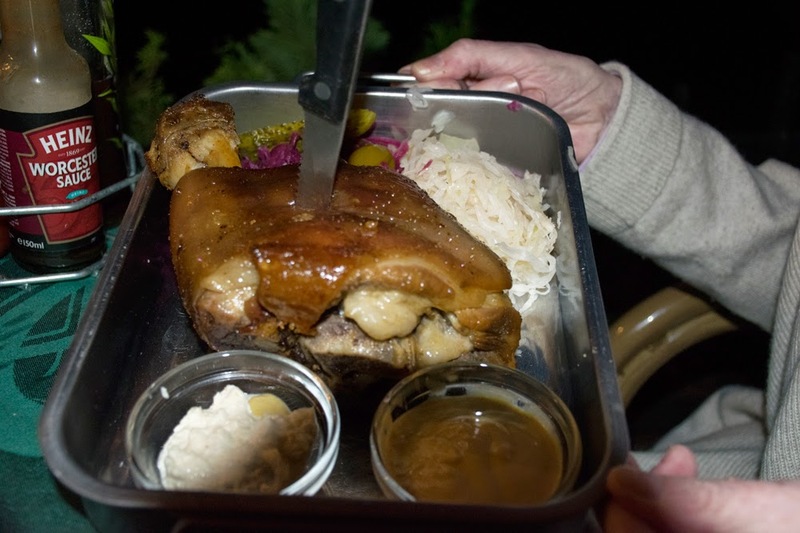 We had the braised ham hocks with two types of boiled cabbage. It was so good and so primal ripping into that giant joint of meat. Traveler Eight and I didn't speak for many minutes as we were consumed by consuming this most satisfying of meals. We really enjoyed Certovka. 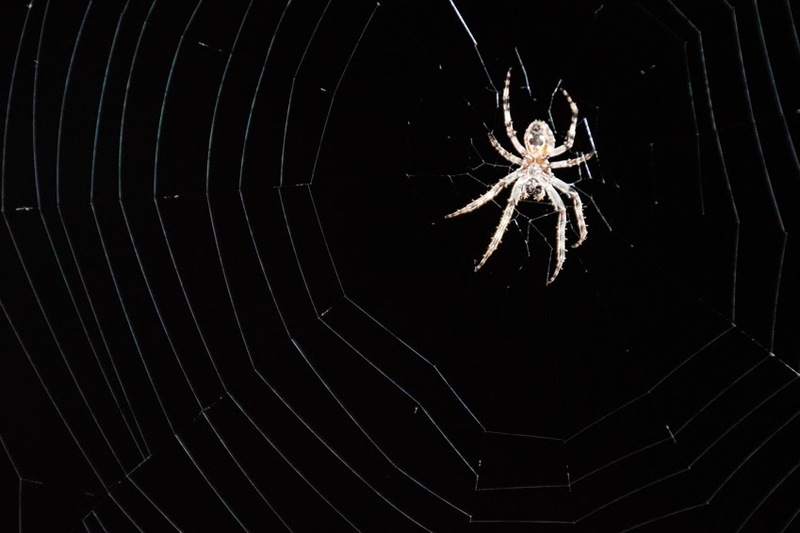 Though, if you are sitting outside, just watch out you don't get an unexpected guest dropping in from above. 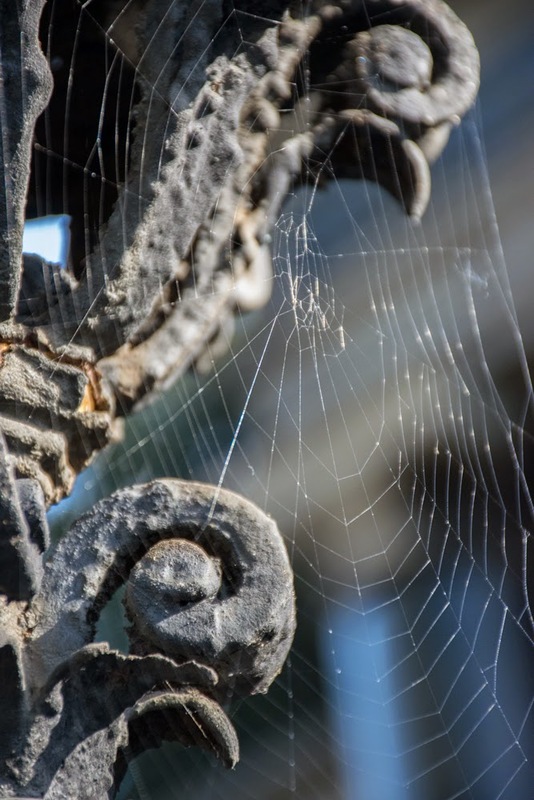 There are spiders all over the lights and awnings. To get to Certovka you need to go down this little alley. The light lets you know when its safe to ascend or descend. Ham hock. This is for one person. And it comes just like that with the knife stabbed into its center. The spiders above our heads. 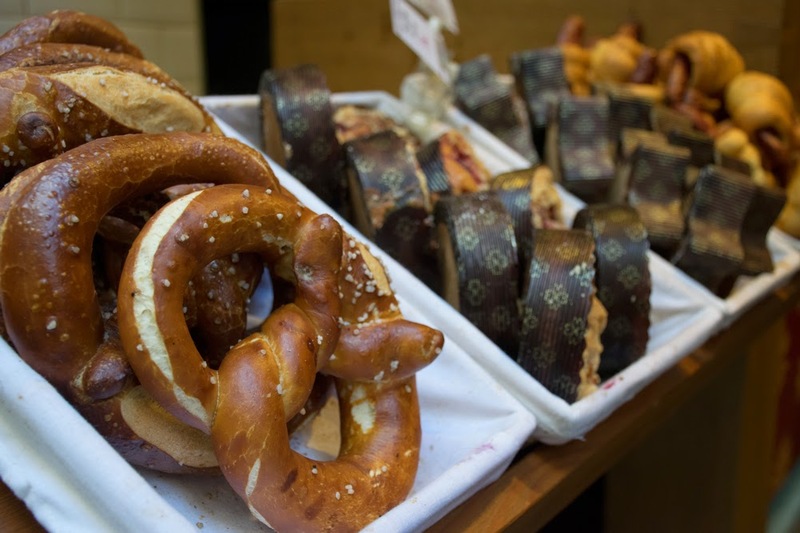 Pretzels, pastry and beer. You can't beat them here in the Czech Republic. On the way back to the apartment we stopped and bought pastries for dessert. And I walked the night in Prague one last time...at least for now. Next stop: New Mexico, USA.